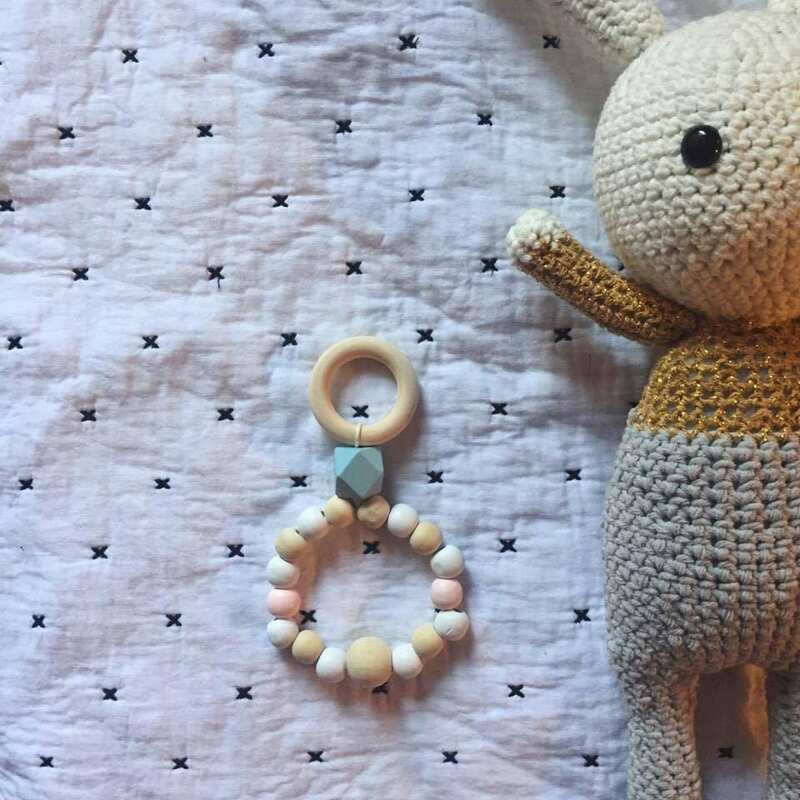 Hand made cute little rattle with teethers. 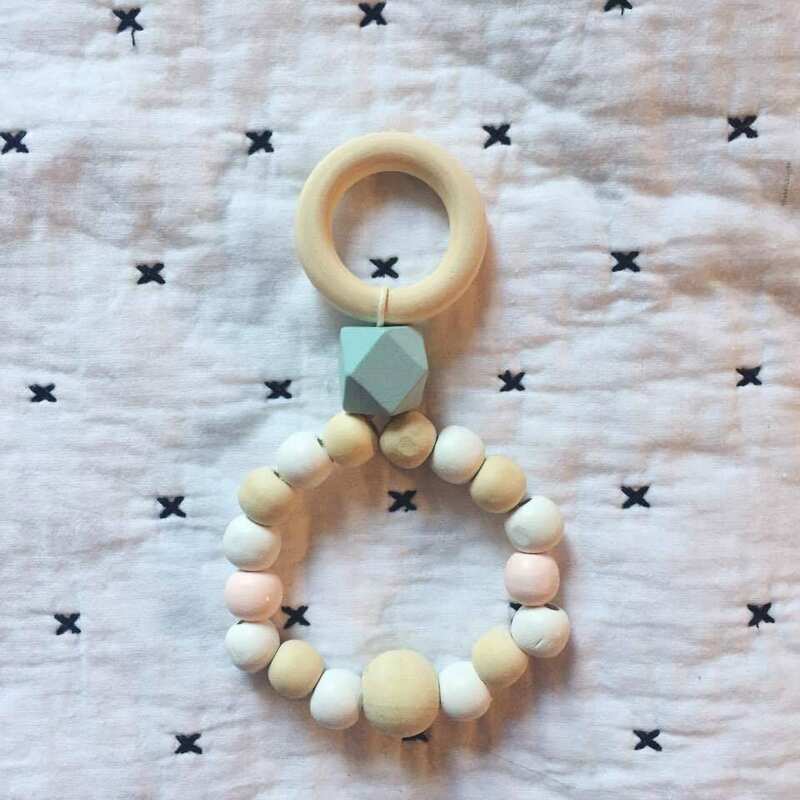 It will reassure and entertain your baby with these soft colors, wooden beads, plastic beads for the letters and beads of soft silicone touch. 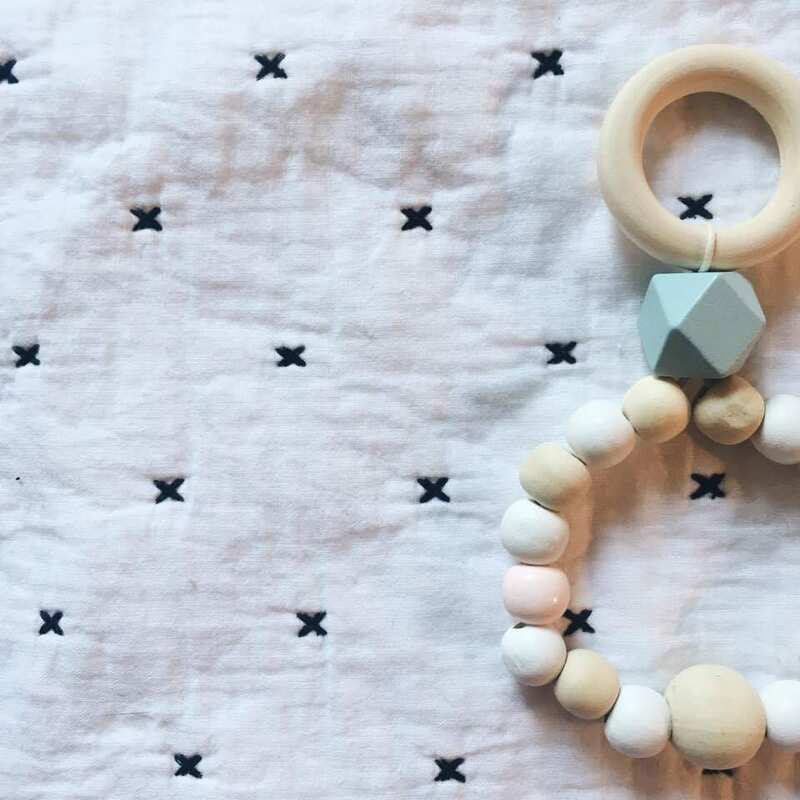 The first signs of flaws, wear or damage, take pacifier.